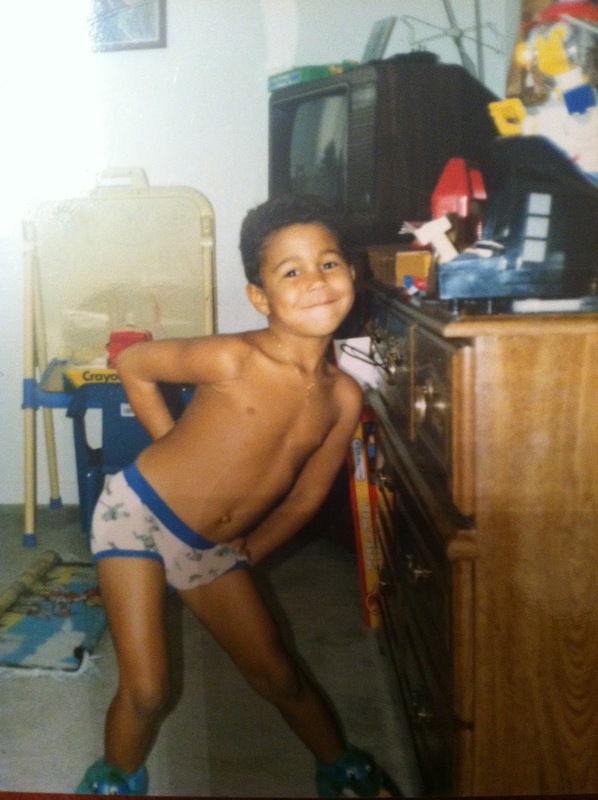 I was one of the lucky ones with my family. From a very early age, my mother knew she had a gay son. She always tells the story of how I used to be obsessed with "The Little Mermaid" and how I REALLY wanted the Ariel Barbie doll. Although my dad didn't approve, she bought the doll for my birthday. And I took Ariel with me just about everywhere: to the store, to school for show and tell, and to our family gatherings. One day we went to the beach and Ariel was right by my side. I wanted to go swimming in the ocean and it's only natural that I wanted to take my mermaid doll for a swim. Unfortunately, due to a huge wave I lost grip of my beloved doll, and she was taken out to sea. My dad swam out to try to save her, but it was too late. I was crushed and I cried for days. My mom said she was home under the sea, but I just couldn't get over it. The next day I woke up to find a new Ariel Barbie and a note from my mother that said, "Look who came home!!!" And all was right in the world again. 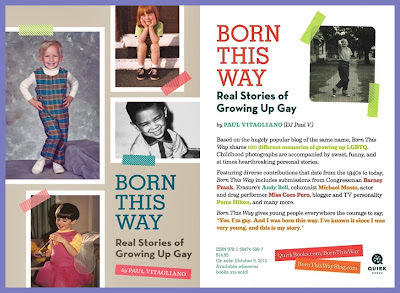 Born This Way: Real Stories of Growing Up Gay Book! Hey everyone! TODAY IS THE DAY! My "Born This Way: Real Stories Of Growing Up Gay" book came out today, Tuesday October 9th! I am beyond thrilled, excited, and proud that I can share my book with all of you, and the world. Huge thanks to everyone who shared their photo and story with me, and much gratitude for everyone who supported this project. It means everything! Many of you fellow bloggers wrote about this blog very early on, and you are the reason there was so much buzz for BornThisWayBlog.com from the very beginning. So both myself and Quirk Books would like to make sure you can receive a complimentary copy of the book to review! 1. Email Eric Smith at: eric AT quirkbooks DOT COM. Send him your blog name, the URL of your blog, and your name. Eric is very nice. You'll like him, I promise. 2. Post your book review anytime during the months of October and November. I hope the rest of you will grab yourself a copy of the book, and help spread the word about it. Especially for "National Coming Out Day" on October 11th. * Please note that there are a limited number of books available for review, so make sure you email Mr. Eric as soon as you can!